← Mountain Crossings’ Thru Hiker Kick Off Party! A new, interesting website has been born from those hikers who love the trail, but see key parts of the Trail’s freedom and beauty slipping away. As of the 2015 thru hiking season, Trail Karma is up and running. This new website aims to educate and encourage hikers in regard to taking care of the Appalachian Trail. Whether that means picking up after negligent hikers, stopping graffiti at shelters and privies if you see it happening, being weary of where fires are built or ensuring that human waste is being properly disposed of, the Trail Karma website is designed to teach hikers the proper techniques behind Leave No Trace through fun and interesting info graphics and videos. More importantly, it encourages hikers to take note of the good deeds done by others toward the trail and to share them in anyway possible. The website has a tagboard attached to do just such a thing! Tagboard is a site that culls all the entires from many different social media sites for a particular hashtag and brings them to one place. 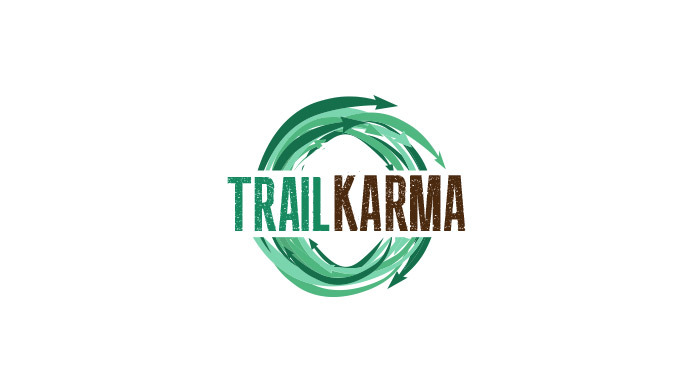 By going to the Trail Karma Tagboard you can see all the instances that have been marked #trailkarma on Facebook, Twitter, Instagram, Vine, Google + or Flicker. All in one place, you can see the happenings of good karma going around the Appalachian Trail. As those who use it, it is our duty to protect and preserve the trail. Rules and regulations do not hold the same power in the wilderness as they do in cities and towns. If the trail were highly regulated, it would squander the spirit so many of us go out seeking. In the place of regulation, the community must self police in order to keep the land as beautiful as the first day we each feel in love with it. Please! Do your part, whether it is recognized or not, to love on and keep healthy this stretch of land that is so precious! And if you see someone doing a good deed for the trail, post it on a social media site and hashtag #trailkarma so we can all see and be inspired by their actions. 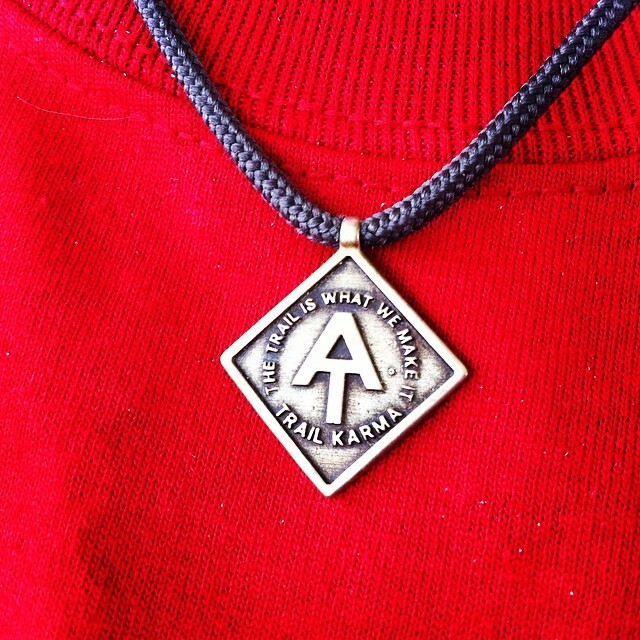 Who knows, in putting out some good karma on trail you may receive a Trail Karma necklace. (By hashtagging the number on it, you can follow it up trail as you pass it on to another hiker doing a good deed.) Or even better, the trail will provide for you at a time you need it most! This entry was tagged appalachian Trail, ATC, Leave No Trace, mountain crossings, Neel Gap, Pack It Out, Trail Karam. Bookmark the permalink. Love this and the Karma! The self-policing thing is so important. It is not the ridge-runners responsibility to clean up after hikers. If you brought it in, take it out. Don’t write on anything that isn’t your own and that you are taking with you. I truly hope this effort will make a difference. Last year I was on the Trail 3 separate times for about 100 miles each and was dismayed by the amount of trash and graffiti. When I thru-hiked in ’11 there was a group who called themselves the Hiker Trash Tour – they picked up trash all along the Trail – I see this as a continuation of that effort and, again, I truly hope this makes a difference. We need to have respect for the AT like it was our own, cause it is! Glad to know there are like minded backpackers out there, Scribbles! Thanks for caring!